What’s In A Name? 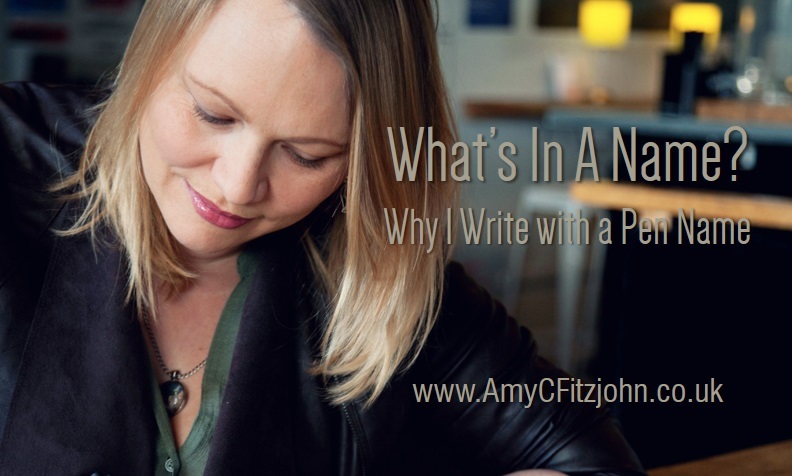 Why I Have Pen Name – Write Here, Write Now! There’s a long tradition of author’s writing under an assumed name. We do this for many reasons, for example: to remain anonymous, to hide our gender, to distinguish between genre’s… we all have our reasons. Mathematician, Charles Dodson, wrote one of my favourite books of all time in a name for which he is better known: Lewis Caroll. …such a fantastical piece of writing made all the better by virtue of the fact that in true Shakespearean tradition, Carroll made up many of the words. Another of my favourite authors, Stephen King, published four novels as Richard Bachman. He was such a prolific writer that his publishers didn’t think readers would be willing to buy more than one novel a year by a single author. He was quickly outed because his distinctive voice as an author rang loud and clear through the books. Being an author has been my dream since I was a child. I remember daydreaming of seeing my name printed on the spine of my own books. When I wrote the Sheridan And Blake Adventure Series, there was never a question in my mind that I’d publish them in my maiden name. In my head, as a child, ‘Fitzjohn’ was a very authory name! That little girl, with crazy dreams of being an author, still jumps for joy whenever she picks up one of those books! I have childhood memories of hours spent in dusty libraries and registry offices while my dad studied microfiches, books, historic documents and parish records to trace our family tree. I’m showing my age here, but the internet didn’t exist then! I don’t have any children and I’m now married. Therefore, my lineage as a Fitzjohn ended on 16th June 2004 (my wedding anniversary). Being such an unusual name, I wanted to keep the ‘Fitzjohn’ name as part of that family legacy, and what better way than to do so through literature. There is also a 21st century advantage to an unusual name; if you type Amy Fitzjohn into Google it’s just me. 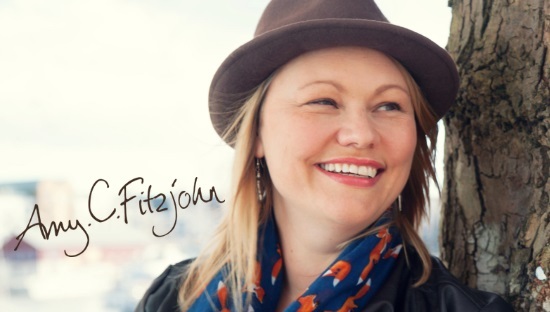 Once I’d decided I would use the Fitzjohn name, I toyed with the idea of using initials ‘A C Fitzjohn’ – that way my gender doesn’t matter. Whether we realise it or not, we make unconscious judgements about a book when the author is female. In the adventure/thriller genre especially, there are very few female authors. At first, I thought it would put me at a disadvantage to make it obvious that I was female, however, ultimately, I decided that I didn’t want to hide that I was one of very few female authors in this genre. I wanted to be a pioneering female in a male dominated genre, so I went with my name and middle initial instead. If you published a book, would you use a ‘nom de plume’, and why? If you enjoy my blogs, say thank you by keeping me fuelled with coffee.